This Thunderbolt 3 USB 3.1 multi-channel hub controller delivers maximum USB performance, adding four high-speed independent USB ports to your Thunderbolt 3 laptop. 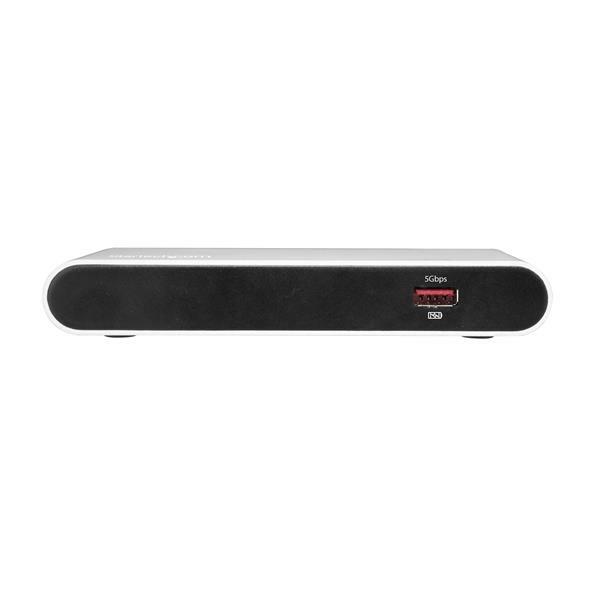 It provides three dedicated USB controllers and up to 20Gbps of aggregated bandwidth for USB devices, ideal for connecting bandwidth-demanding devices such as 3D scanners. The Thunderbolt 3 hub lets you access multiple USB devices at greater bandwidth and improved performance, and extend the life of your USB devices. The high-speed USB hub provides two 10Gbps ports for connecting high-performance devices such as storage arrays, 3D scanners, audio-video devices, and external SSDs, with dedicated bandwidth for faster read/write access. The second Thunderbolt 3 port can be used to connect an additional USB-C device with up to 10G bandwidth. When only one USB port is in use, the full 10Gbps bandwidth is available to the device. Two additional USB-A ports provide 5Gbps of bandwidth to each device simultaneously, ideal for portable hard drives or flash drives. For added convenience, the front USB-A port supports both data and charging of your mobile device. The Thunderbolt 3 hub features a second Thunderbolt 3 port to connect an additional display to your laptop (a USB-C video adapter may be required). The port can also be used to connect additional Thunderbolt devices, daisy-chaining up to six devices. The TB33A1C is backed by a StarTech.com 2-year warranty and free lifetime technical support. 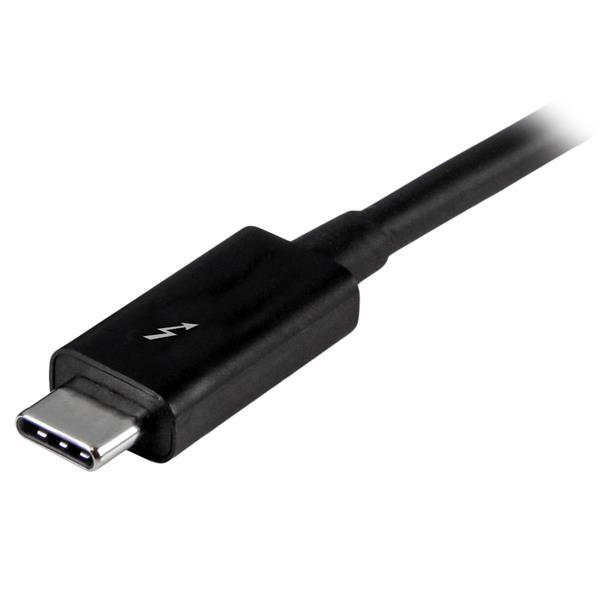 Note When connecting a display to the Thunderbolt 3 USB-C port, a USB-C video adapter might be required depending on the input of your display. 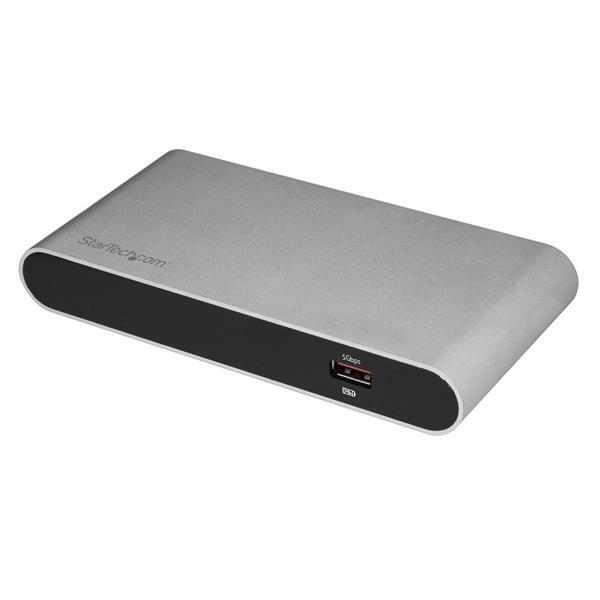 Secondary Thunderbolt 3 port can also be used to connect USB 3.1 (10Gbps) USB-Type C devices, such as USB 3.1 Storage Enclosure or Hubs. Backwards compatible with USB 3.1 Gen 1 (USB 3.0), and USB 2.0. USB 3.1 Gen 1 is also known as USB 3.0; this connectivity standard offers speeds up to 5Gbps. USB 3.1 Gen 2 offers speeds up to 10Gbps.